Aamir Khan has clarified that he has no plans to remake Rudraveena in Hindi. 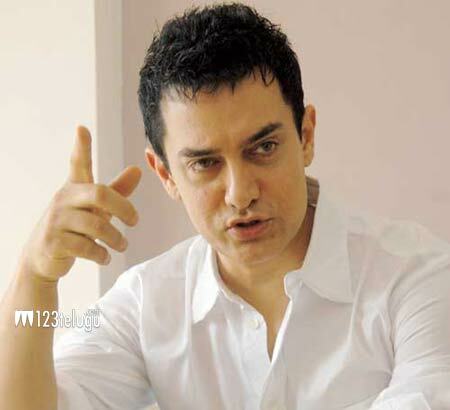 Few days ago, a section of the media had reported that Aamir Khan expressed his desire to remake Rudraveena, which was directed by K Balachander, just days after he met the veteran director in Chennai. Recently, when Aamir Khan was asked about this by the media in Chennai, he clarified saying, “I’ve no plans to remake Rudraveena in Hindi. I don’t know how these rumours began,” he said. Incidentally, Aamir Khan had met K Balachander few years ago when he won the Gollapudi Srinivas Award for Best debut director after he made Taare Zameen Par. He was so thrilled with the speech written by Balachander, that he took the copy from him and said that it was one of the best moments of his life. Aamir Khan was in Chennai to promote his upcoming film, Dhoom 3, which also stars Katrina Kaif, Abhishekh Bachchan and Uday Chopra. Vijay Krishna Acharya has directed the film and Aditya Chopra has produced it under Yash Raj Films banner. Sai Korrapati is distributing the film in Andhra and Ceded regions and it’ll release on December 20.